The Faculty gratefully acknowledges the generous donations it has received since its formation, and welcomes donations of any size. Donations can be used to fund studentships, providing funding for a deserving student to attend Oxford; lectureships or professorships, allowing us to build on our current strengths and expand our research and teaching into new areas; or facility enhancement, giving members of staff and students a more pleasant environment in which to work and teach. Click on Ways to give to find out more. From 2011 funding for one three-year graduate studentship has been donated by Birla International Limited, Douglas, Isle of Man (part of the Birla Group of Industries, India). The Birlas are a long-established and prominent family based in Calcutta, and one of the foremost business houses in India. They are renowned for their philanthropic endeavours particularly in the field of education and they have founded numerous schools and colleges. Women’s education has been a priority for them. The Scholarship provides in full the tuition and college fee, and a maintenance grant commensurate to the national minimum doctoral stipend of the UK Research Councils, for three years. Iis open to students of all nationalities. Dr. Asma Siddiki gained her Master of Studies at the Centre for Linguistics and Comparative Philology, University of Oxford, in 1998, after having completed her Bachelor’s from King Abdul Aziz University in Saudi Arabia. After her M.St., she went on to receive her D.Phil. from the University of Oxford’s Department of Experimental Psychology (2002) in Psycholinguistics, after which she returned to Saudi Arabia. Dr. Siddiki has since been involved in the education and higher education sectors through working in the Middle East and Europe. She most notably held leadership roles at universities in their early stages of development in the Middle East focusing extensively on student services, institutional effectiveness, organizational development, and global institutional partnerships. She has also been involved in cross-cultural dialogue and relations, both officially and in a personal capacity. 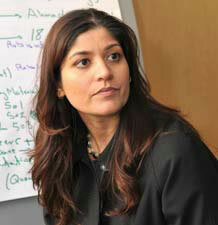 She is now a Director for the higher education practice of a US consulting firm based in Dubai. She has also recently established the summer programme, Heritage Summers, currently hosted at Cambridge, and from 2013, to be hosted at both Oxbridge Universities. Asma is enthusiastic about the new Faculty of Linguistics at Oxford, and is keen to see more of her peers offering support, great or small, to sustain the efforts of the Faculty and to allow greater access and opportunity for current and future students. The Siddiki Travel Bursary provides support for travel and research to graduate students in Linguistics, particularly to students studying Arabic and/or Psycholinguistics.